Good morning. It's Friday, Aug. 3. • A drone captures extraordinary devastation in Redding. • Female surfers prepare to ride the monster waves at Mavericks. • And hundreds of dogs face euthanasia at L.A. animal shelters. 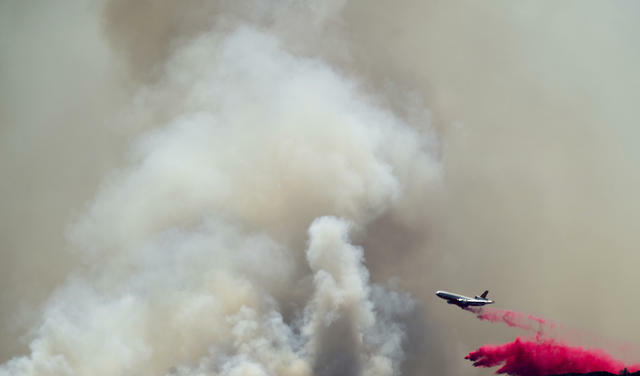 A tanker dropped fire retardant in Northern California last month. 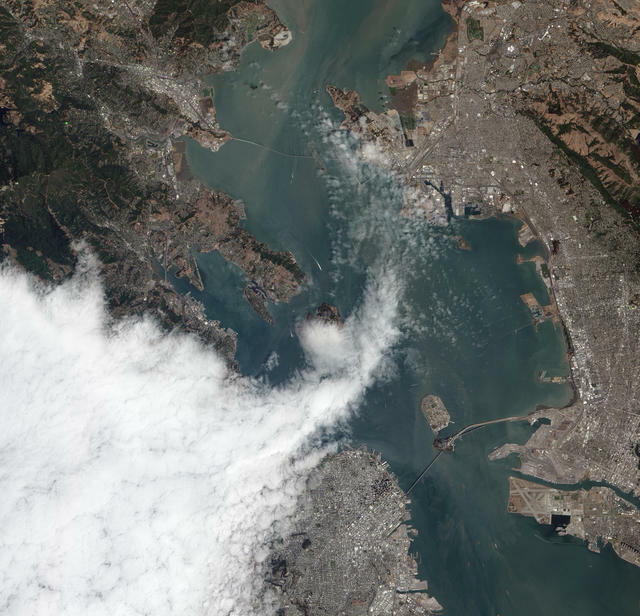 The total land mass now blackened by California's wildfires this year — roughly 450 square miles — is more than double the historical average, according to Curbed San Francisco. The area translates to roughly half the size of Orange County, four Fresnos, or 10 San Franciscos. About 40 percent of that resulted from Shasta County's Carr fire alone — which is still growing. USA Today sent up a drone this week that captured extraordinary images of whole blocks reduced to ash in the Redding area. At last count, more than 1,000 homes had been destroyed. Read more in Curbed and see the USA Today images and video. The Trump administration moved to revoke California's authority to set its own car pollution rules. “Under his reckless scheme, motorists will pay more at the pump, get worse gas mileage, and breathe dirtier air,” Gov. Jerry Brown said. “California will fight this stupidity in every conceivable way possible." "I'm going to be honest with you. They do not like Californians." The Pacific Northwest is the most popular destination for Californians priced out of their home state. But many are finding that their new neighbors aren't exactly rolling out the red carpet. "Portland is becoming all I didn't like about L.A.," one said. "I’ve been surfing for 23 years, and there’ve been a million times when I was surfing alone and some dudes came up and acted like they owned the place, questioning what I’m wearing, my board." The integration of female surfers into big wave contests has been slow-going. Now they're preparing to compete on the monster waves at Mavericks in Northern California for the first time. 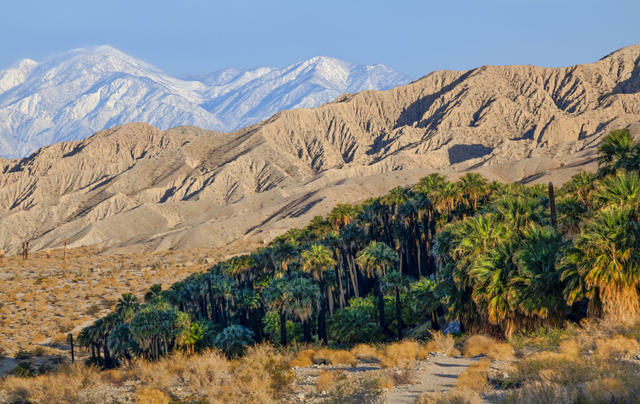 An oasis of palm trees rises from the Sand to Snow National Monument. Sand to Snow National Monument, named for its dramatic rise from the Sonoran Desert floor to the summit of San Gorgonio Mountain, has been called the most botanically diverse national monument in America. It's one of three breathtaking California landscapes — along with Mojave Trails and Castle Mountains — protected by the federal designation in 2016. If you haven't been, here's what you're missing. 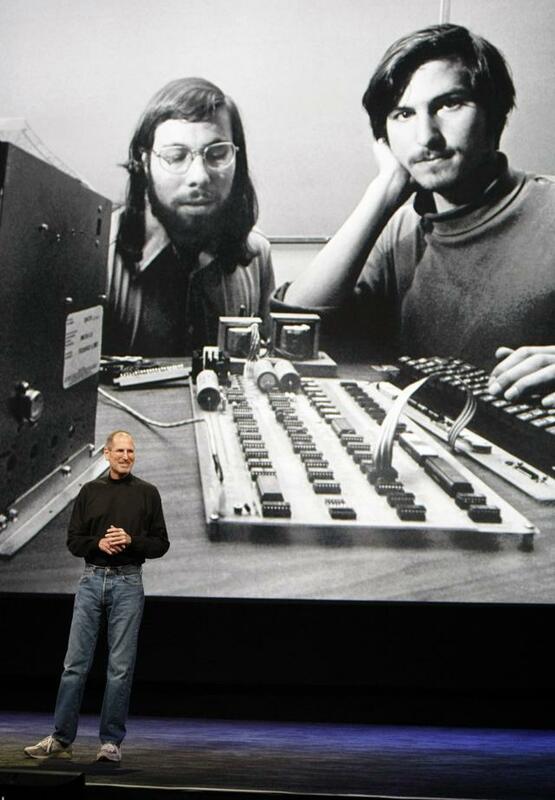 Steve Jobs stood in front of a picture of himself and Steve Wozniak from the old days during an Apple event in San Francisco in 2011. • A trillion seconds would amount to more than 31,700 years. • A trillion square miles would cover the surface of 5,000 earths. • A stack of a trillion $1 bills would stretch at least 67,000 miles. The hipsters are coming. A listicle on trendy West Coast cities gave a shoutout to Eureka, citing the area's distinction of having the highest number of artists per capita in California. On the first Saturday of every month, Eureka's historic Old Town hosts celebrations with dozens of historic galleries and businesses showcasing art and music. Mark Twain is said to have uttered, "The coldest winter I ever spent was a summer in San Francisco." (He didn't actually say that). But the sentiment stands. Ever wonder why it gets so foggy and windy in the summer months? A cartoonist at KQED put together a super-simple explainer. Daveed Diggs, left, and Rafael Casal are the writers and stars of "Blindspotting." 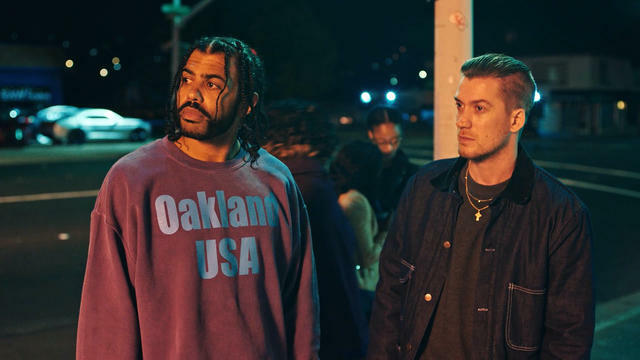 The movie "Blindspotting" is a mix of humor and drama set against the backdrop of Oakland's gentrification. With a 93 percent on Rotten Tomatoes, it "probably has the biggest concentration of sweet spots ... in which we sigh and say to ourselves, 'Hey, they really get what Oakland is all about,'" one critic wrote. Samuel Woodward appeared in a Santa Ana courtroom on Jan. 17. 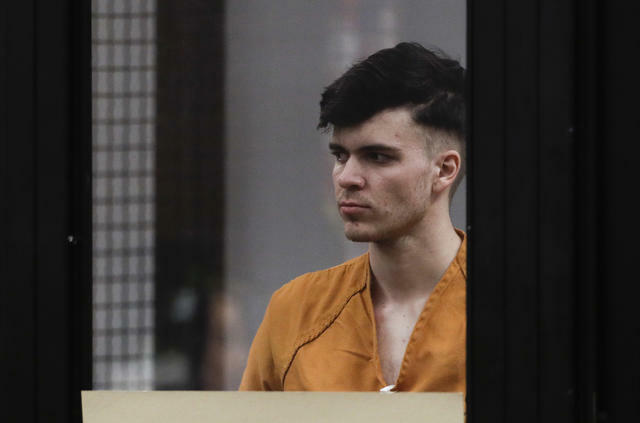 Orange County prosecutors added a hate crime sentencing enhancement against Samuel Woodward, who is accused of fatally stabbing 19-year-old pre-med student Blaze Bernstein. Woodward is reportedly an avowed neo-Nazi. Bernstein, whose body was found in an Orange County park in January, was Jewish and openly gay. A recent homeless count in Los Angeles found a 22 percent surge in the number of elderly people on the streets. The L.A. Times wrote a moving portrait of a homeless veteran and his wife who, pummeled by mounting hardships, have been living in their Jeep Grand Cherokee with their dog Oreo. 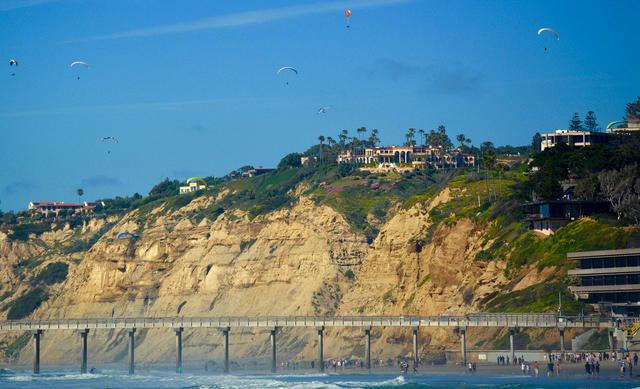 Scripps Pier in La Jolla, where water temperature readings have been taken daily since 1916. 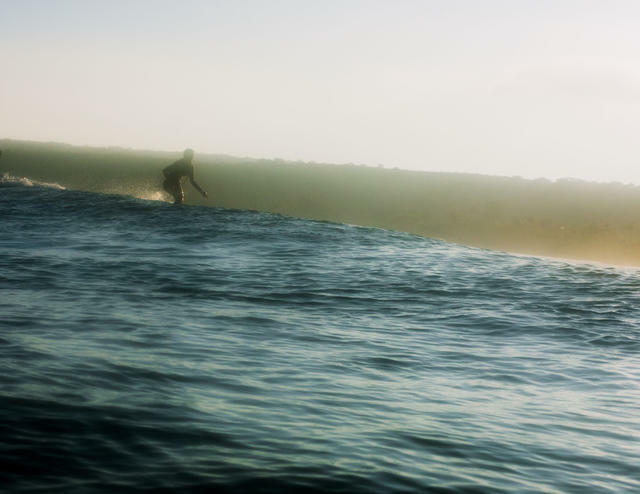 The water off La Jolla hit 78.6 degrees on Wednesday, the highest temperature there since records began more than a century ago. Researchers said that the unusual warmth is consistent with the extreme weather events and record-shattering heat on land predicted by climate change models. The creators of the romantic comedy "Crazy Rich Asians" turned down a “gigantic payday” at Netflix to ensure the first Asian-American-focused studio movie in 25 years would be seen in theaters and, if all goes well, reshape the Hollywood landscape. "The biggest stage with the biggest stakes," said its director, Jon M. Chu, "that’s what we asked for." 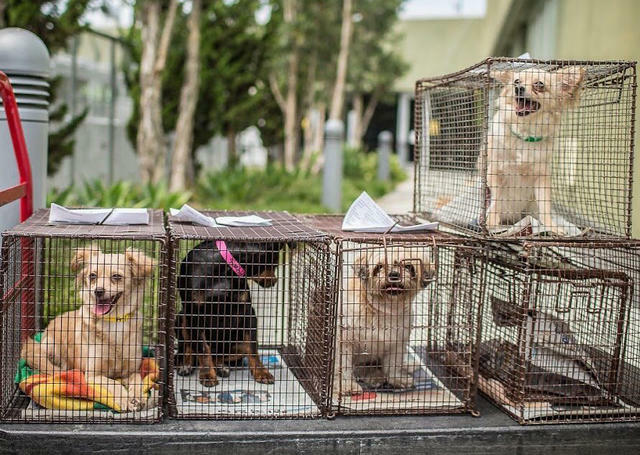 Los Angeles animal shelters are facing a crisis after three separate hoarding cases led to the rescue of hundreds of animals, putting all six of the city's shelters at full capacity. Now more than 250 of the animals are on the red list, meaning they could be euthanized if they aren't adopted or find foster homes — fast. 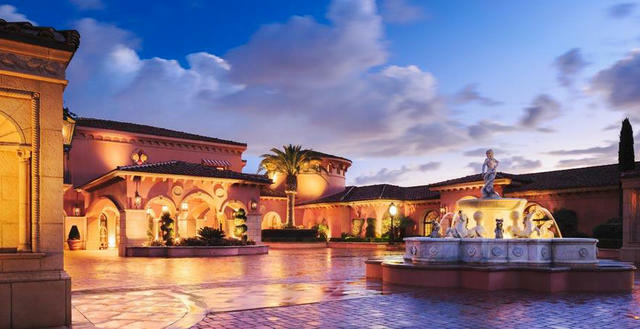 The Mediterranean-style Fairmont Grand Del Mar is tucked on a hillside outside downtown San Diego. It's among Forbes' favorite California resorts. 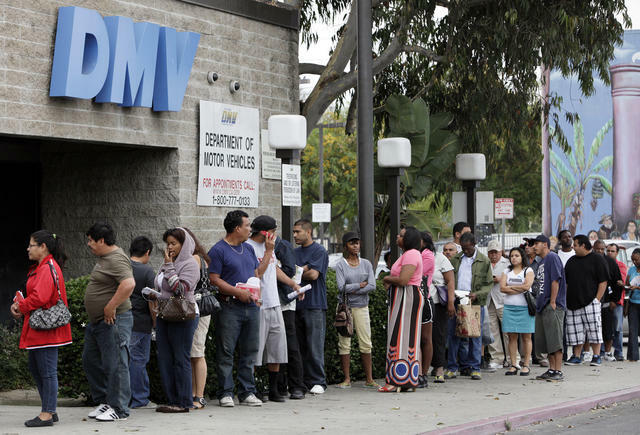 Waiting in line at a DMV office in Los Angeles. 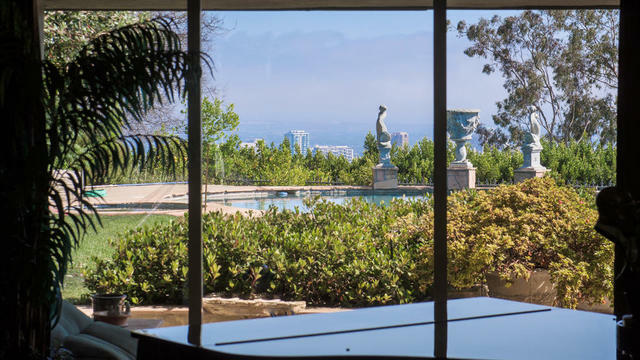 Elizabeth Taylor's old house looks out to Los Angeles with views of the Pacific Ocean.